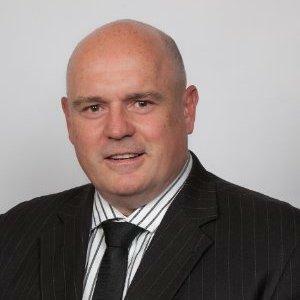 Garry Collings has joined Kiwi freight, warehousing and logistics company Mondiale as chief information officer. He will oversee strategy and leadership of IT departments of Mondiale across Australia, New Zealand, China, Hong Kong and the Philippines. Mondiale is the largest privately owned freight forwarder in New Zealand, with more than 600 staff in its local and overseas offices. “Mondiale is an amazing brand, has great service offerings and long-term customers,” Collings tells CIO New Zealand. Collings is one of a handful of New Zealand CIOs who leapt to top executive posts in both the ICT user and vendor spaces. Collings has over 20 years of experience in the sector, having held executive roles in companies such as Coretex, Mainfreight, Toll and TranzRail. He was also country manager of IT vendor NetApp for two years. In an earlier interview, Collings shares his views on building a career in ICT. He says he strongly believes everyone should have a career plan, and to write it down. "Ask yourself frequently, Will your plan take you to your goal? If you don't have a mentor, find one. If you are aware of people that have achieved similar goals to yours, hunt them down and endeavour to meet with them. Ask yourself what skills are required to meet your goal. If you don't have them, find out how you can." In his case, Collings worked out a long-term career strategy that included completing an MBA while working full-time. "The MBA assisted in helping me to create a strong platform in which to move forward. It has improved my capability in business management, but also having met the challenge, I feel an increased confidence in my general business ability." Would he recommend the same thing to his colleagues? "Absolutely," he says, but warns the time commitment would be huge. His advice to those who are assessing their career options in the long-term? "Work on understanding the organisation's business processes and enhance communication with users to prepare for a career change. User communication processes have to be in place and followed if you are to increase your acceptance within your organisation. “Most importantly is that you step out from behind the traditional techie mindsets and start contributing to all business areas by providing new business ideas and strategies that can be backed up using IT as an enabler."